Cornwall One And All Kids T Shirt. Black 100% cotton T Shirt with Gold One and All design centre front. 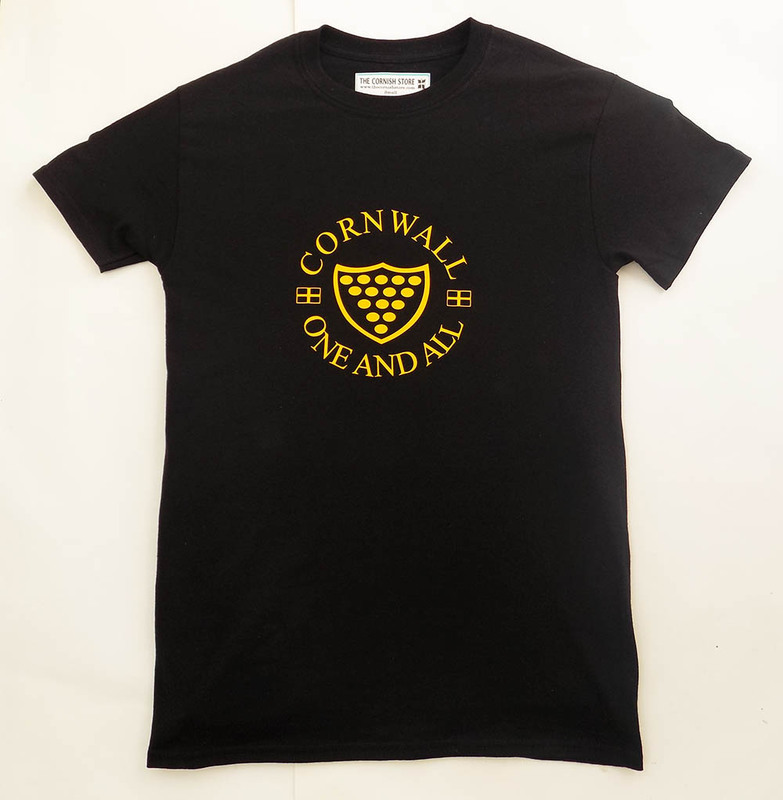 The design reminds us how Cornishmen and Women stood together and raised money(15 Bezants) to free the Duke of Cornwall captured by Saracens during the Crusades.Also featured are two St.Piran flags.